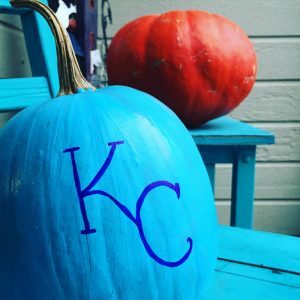 How you can participate in the Teal Pumpkin Project by making your own teal pumpkin. Plus ideas for what to hand out instead of candy and why. 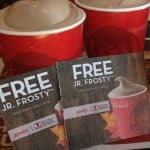 The purchase of the Jr. Frosty coupons support the Dave Thomas Foundation which has one mission: increase the number of children from foster care to adoption. This is special to me because my son is adopted. I was tired of handing out candy and then eating the rest of it. 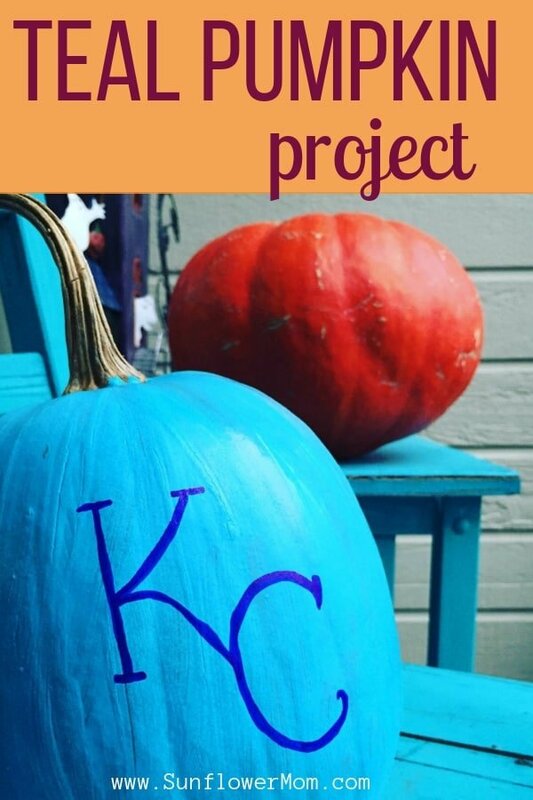 My niece was recently diagnosed with severe allergies and I was introduced to the Teal Pumpkin Project. Provide non-food treats for trick-or-treaters. Check out the ideas in the link. You don’t have to pass out toothbrushes – it can still be fun! Put a teal pumpkin in front of your house to indicate to trick-or-treaters that you have allergy safe treats. Add your house to the Teal Pumpkin Project map to let allergy suffers know where it’s safe to trick-or-treat from! 1. Give the pumpkin a simple cleaning. You want the paint to stick. 2. Paint the pumpkin. I used this basic acrylic paint. It worked and stayed good all of October! For the most part, I had the pumpkin under a covered roof outside but it did get a wet occasionally. 3. Seal it with spray paint clear sealant. That’s all there is to it. Just remember on the night of Halloween, to put your teal pumpkin where the trick-or-treaters can see it. You want them all to know you have allergy-friendly treats. And consider giving Frosty Jr. coupons to donate to Dave Thomas foundation – it’s 2-for-1 kindness!